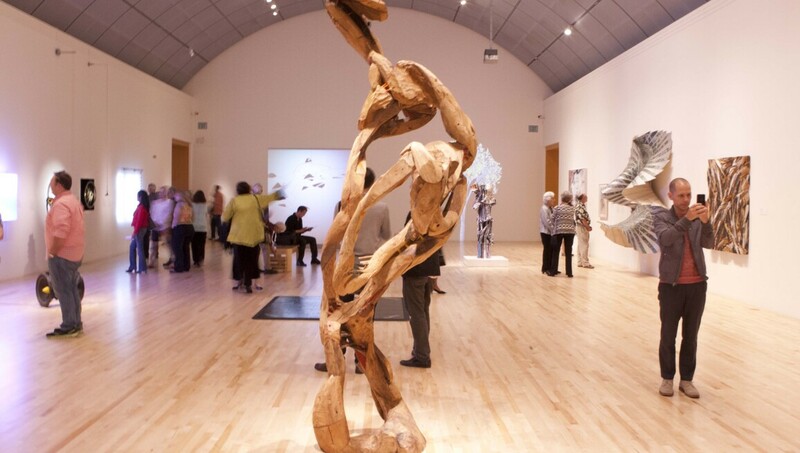 The San Jose Museum of Art celebrates new ideas, stimulates creativity and inspires connection. Welcoming and thought-provoking, SJMA delights visitors with a surprising and playful perspective on art and artists of our time. Located in the hub of Silicon Valley, the Museum is housed in a landmark 1892 building, (a gem of Richardsonian architecture and once the Civic Library) and a 1991 addition by Skidmore, Owings and Merrill, connected by a towering, light-filled atrium. SJMA’s exhibitions focus on modern and contemporary art. The exhibition programme is fresh and imaginative, international in scope and as diverse as the region in which it is located. The Museum receives particular national recognition as a stellar showcase for California artists and artists often create site-specific projects for presentation at SJMA.